Admin is the uppermost module of this system.Admin can create one or more Distributors under them.But he has the right to do User Management of all members.He can make payment to as well as revert from only his Distributors. Some important settings like Third Party API Setting ,SMS Http API Setting,Recharge Gateway etc. can only be done by him. He can do dynamic Commissioning for Distributors and make change about service availability for members. Admin is having ComplaintBox to view and Resolve Complaints about his members. One interesting feature is Admin can Modify Recharge Action after Recharge Process.It could be Refund,Adjust or Re-Recharge And much more features like this. Distributor is next level to Admin.He can create one or more Dealers under him.They can view commissions assigned to them by Admin.He can also do the settings for dynamic commissioning for dealers under them.They can also view the Recharge Information about the Recharges done by dealers under them and users under those dealers.He can also view his daily report,statement as well as credit,debit list as other members of this system.They can make single or bulk payment to dealers under them.AS well they also have the right to revert those balance from those dealers for any reason. Dealers have the common features like distributors for his users.But he is having one exciting feature which admin and distributor are not having.Can you guess that feature?? Of Course,You are right..That is Recharge..!! Two ways of Recharge are available. One is User Recharge and Another is Direct Recharge.Recharge is having types like one can do either Normal,STV(Special Tariff Voucher) or Coupon Voucher Recharge.PostPaid and Bill Pay are also available here. 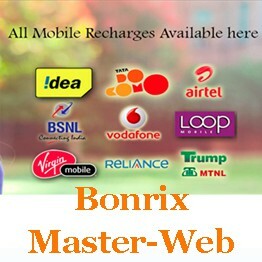 In direct Recharge , Recharge can be done of any number but In User Recharge Dealers can only do Recharge of those mobile numbers which are provided by perticular user. Users are created by Dealers and balance are also provided to them by their respective dealers. User Can do Recharge of the numbers which he have added to his list. Users can also view their Daily Report,Statement and Credit/Debit List like others. One important feature is that if user does not get balance after Recharge for any reason , they will surely get Refund of their Deducted Amount.